Christmas gifts, Thanksgiving gift, Easter gift, Cooking gift, Chef gift, Mother's day gift and more. 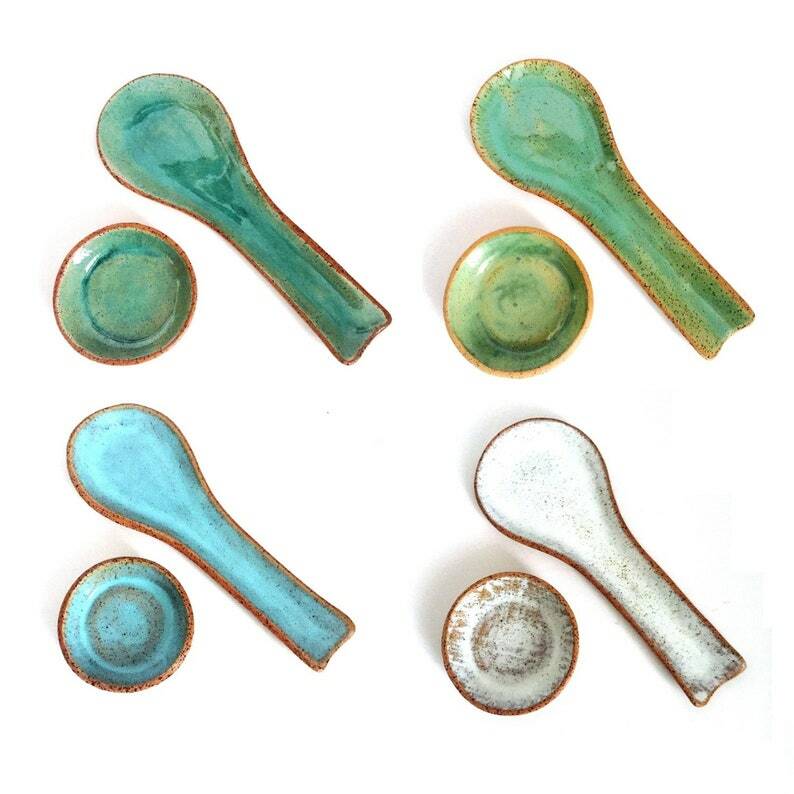 Each spoon rest is hand-built from scratch, cut and shaped by hand from a slab of natural clay. After drying, the dishes go into the kiln for a first fire (Bisque). The next step is glazing (I use only food-safe glazes). The base is left unglazed, so you can see the natural Matt color of the clay and enjoy the contrast with the shiny glaze (just like the sea contrasts with the sand and rocks). The second kiln-fire is at a high temperature of 1200°C (stoneware).